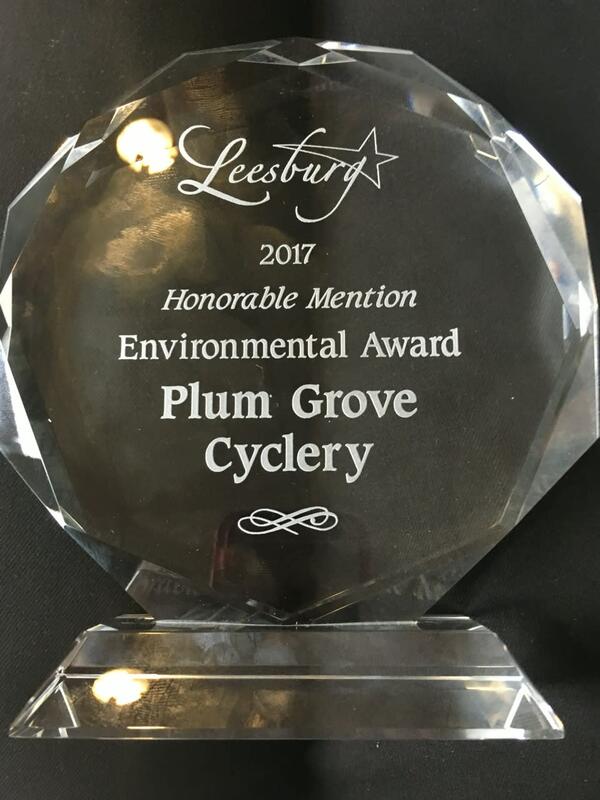 Plum Grove Cyclery got its start in Leesburg in 2000. We began as a small store on West Market Street across from the Tally Ho Theater, but quickly outgrew that space and found a new home on East Market Street in the Green Garage behind Mom’s Apple Pie. We happily served the growing community there for five years before leaving to try something new on Rockland Farm just north of town on the Potomac River. For the last six years on Rockland Farm we specialized in pure service, doing hundreds of fittings along with fixing and building countless bikes. We also continued to offer the finest in custom crafted bicycles. 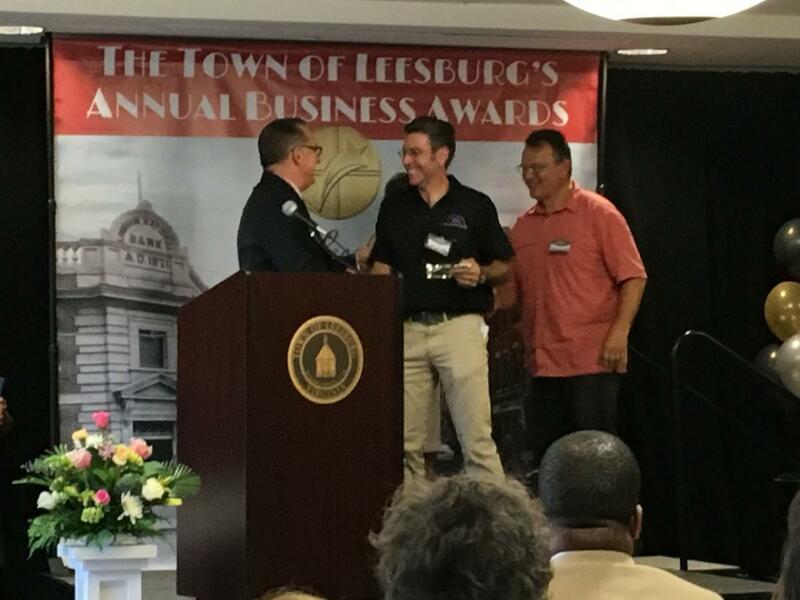 Today we are back in downtown Leesburg on East Market in a unique old stone building that once housed a car dealership in 1922 and a Harley dealership in the seventies. 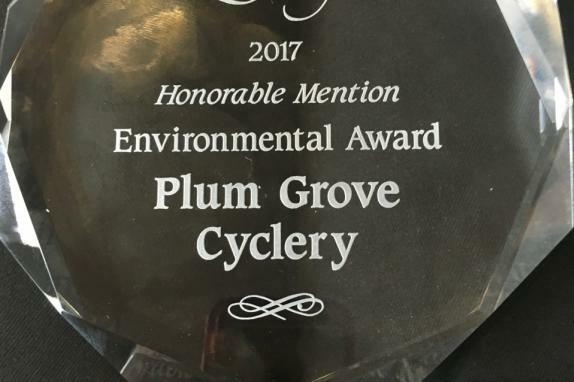 As Loudoun County grows and becomes more urban, Plum Grove wants to make sure that cycling is an integral part of that growth, not only as healthy recreation, but as a truly viable transportation alternative for commuting to work, running errands around town or enjoying a pub crawl. 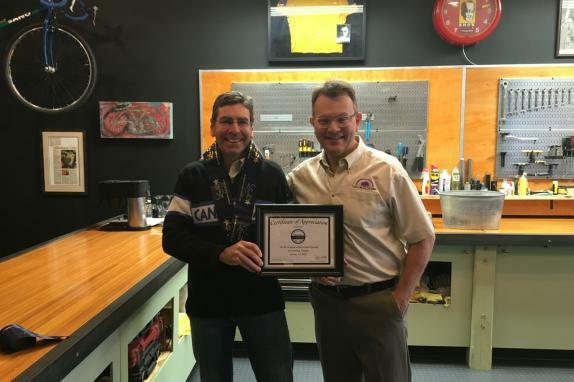 Our goal is to be more than a store that sells bikes; we want to be a part of our community and welcome people from all walks of life, including the experienced cyclist. We encourage non-cyclists and beginners who want to try out a two-wheel lifestyle to visit us. If you have an antique cycle that needs some work, no bike repair is too small or too big. And while we offer a variety of new and custom crafted bicycles, we also specialize in used and re-purposed bikes that offer a great value. Our door is also open to anyone walking by who is looking for a cup of coffee, good conversation, to use our free WiFi, or simply to make change for the bus stop across the street. 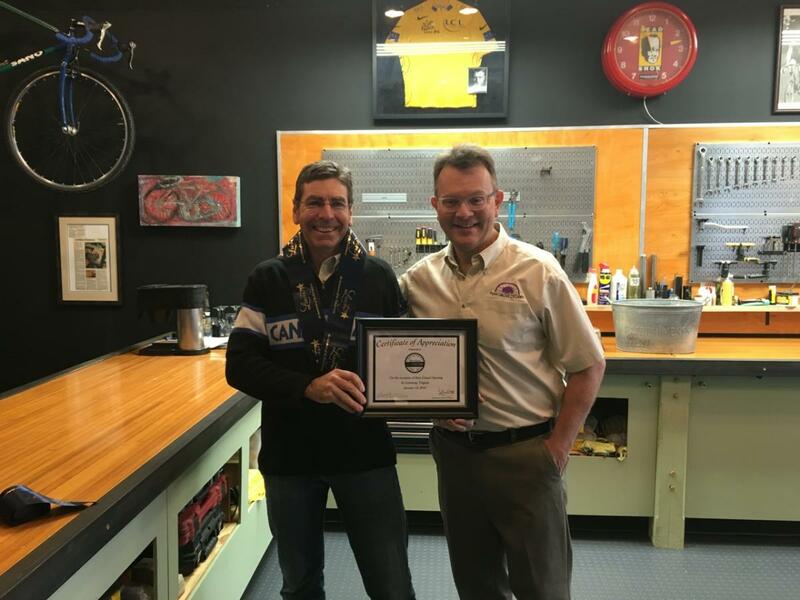 Together, Mike and I account for more than 60 years of experience in the industry and are avid cyclists ourselves. We have repaired and built hundreds of bikes and have learned from our mistakes and successes. Visit our new digs and Let our knowledge and skill help you enjoy the biking life. 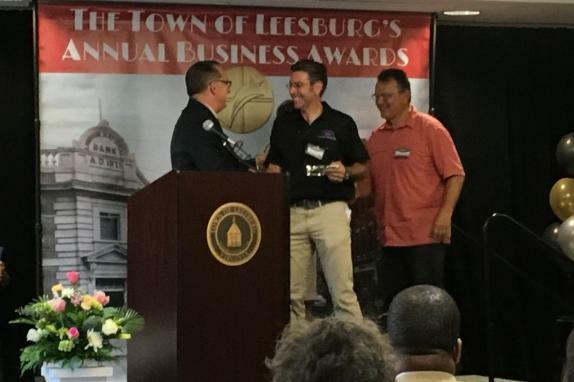 Hang out at our work bench or lounge area while Mike and I wrench bikes and watch the action on East Market Street in bustling downtown Leesburg.